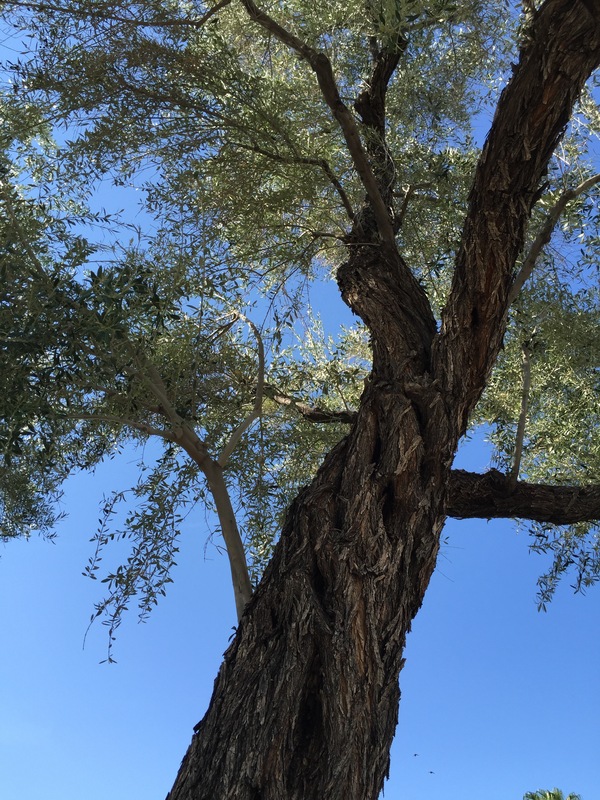 An olive tree, just because. For a plethora of reasons, I’m taking a mental health week. I’m not crazy, but I have too many deadlines and commitments to cram into my (currently) limited time, and this is the endeavor that drew the short straw. 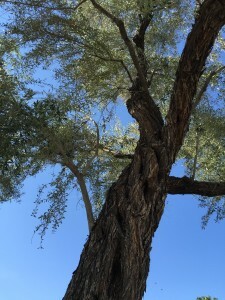 For your viewing pleasure instead, here is a picture of an olive tree. Because it’s peaceful and I like it. Let’s hear it for the amateur sleuth solving the case! In all seriousness, amateur sleuths belong to a breed of character that both entertains and baffles. Who are these people haplessly surrounded by death and mayhem? They wake up each morning, walk out their door, and stumble across a crime scene? I can understand a book series about a professional detective (police or private), because it’s their job to encounter the seedy underbellies of the world. Amateur sleuths are simply living their lives—amid a slew of depraved and desperate criminals, apparently. This trend is not confined to murder mysteries. Many children’s mystery series revolve around amateur sleuths solving crimes: the Hardy Boys, Nancy Drew, Encyclopedia Brown, and (my personal favorite) Trixie Beldin, to name a few. Even The Boxcar Children, which was most definitely not a mystery, became The Boxcar Children Mysteries when it was serialized (a transition that, I’ll be honest, has always bewildered me). What, then, is the appeal of an amateur sleuth that adults and children alike can enjoy such exploits? The Amateur Sleuth exhibits superior logic, quick thinking under duress, and a painstaking attention to the details that most people would overlook or dismiss. These admirable traits create a bond between reader and sleuth: we instinctively want to be an intelligent, detail-oriented person, and the amateur sleuth provides an avatar for those desires. The Amateur Sleuth, then, shifts that “normal” character into the focal role of crime-solving, a condition that may appeal to the reader because it transitions their avatar from observer to active agent in solving the mystery. Just like using an agent-assigning verb renders more dynamic prose than using an experiencer-assigning verb. Also working in the Amateur Sleuth’s favor is our cultural adoration of an “uninitiated layman” solving a problem that is beyond the grasp of educated professionals. I don’t know if we like seeing hoity-toity betters knocked down a peg, or if we prefer the possibility of inherent genius unrecognized, or if it’s a combination of both. Regardless, this particular pattern shows up not only in mysteries, but across genres. Usually, the amateur does end up being an unconventional sort of genius. And the audience preens, as if this character development reflects well on them, too. And maybe it does. We are what we read, to some extent. The classic mystery reveal involves gathering all the murder suspects and interested parties into one room and unmasking the criminal in their midst. This plot device allows the sleuth to expound upon every minute piece of evidence they’ve gathered. It has also reached that level of campy-cliché that makes it a universally acceptable plot device for well-written mysteries. In a genre that thrives on foiling the reader’s intuition, this predictable element is the narrative equivalent of throwing you a bone. And the unexpected variables that always crop up provide entertainment of their own. Like, every Poirot mystery ever. Miss Marple too. Take your pick from the lot. The Thin Man (1934 film): Brilliant detective Nick Charles invites all his suspects to a dinner party to root out the killer. In one of the later films, his wife Nora points out the pattern of gathering people together, making accusations, uncovering the killer, and then hiding under the table during the ensuing shootout. Interestingly enough, Dashiell Hammett’s novel of the same name (upon which this film franchise is based) does not have an all-parties-gathered reveal. Nora and Dorry are holed up elsewhere during the fun. Death in Paradise (BBC Series): Used consistently by DI Poole. When DI Goodman replaces Poole in Season 3 only to have his assistant gather the suspects for the customary reveal, he asks a bewildered, “Why?” And then he enjoys it so much that he continues with the process thereafter. This classic style of reveal works particularly well when combined with another plot device common to the mystery genre: the Closed Circle. Scene: A tropical island, isolated in its location; the only way on or off is via ferry, but the last ferry has left for the night and a brewing storm will keep it from returning in the morning. Only five island residents remain to weather the storm, and one of them is about to die. The Closed Circle occurs when players are cut off from contact with the outside world, usually because of inclement weather or mechanical malfunctions (such as the sci-fi version of a spaceship adrift in the great black void). There is, ostensibly, no way for anyone to come or go. Meaning, the killer/monster/villain is either one of the stranded party or an unseen malevolence operating beyond their scope of observation. And Then There Were None by Agatha Christie: There’s actually nothing fun about this one. It is the perfect closed circle in all its gut-wrenching, anxiety-inducing glory. I still get a little queasy thinking about it, in fact. Clue (1985): Six dinner guests and a butler locked in a mansion with their murdered host; the closed circle here is imperfect, as the guests cannot leave, but new arrivals keep joining the party (and subsequently dying). “Remote Island Syndrome” by Nageru Tanigawa: This short story, found in The Boredom of Haruhi Suzumiya, pokes fun at the closed-circle scenario as the SOS Brigade gets stuck on a tropical island and Haruhi runs around trying to solve the murder of their host. Usually, once someone dies, the circle has to remain closed until the reveal. Suspects will try to leave and fail, or else get killed themselves in the attempt. The Closed Circle allows for a tight cast of characters and some lovely boundaries to constrain the plot. It breeds distrust among even the closest of allies, and it makes the reader want to scream every time a character suggests splitting up to search the area. If you’re ever in a closed circle, the first rule of survival is to never split up. There is no second rule. If you break the first, all bets are off. Everyone hated them; motives for murder abound and winnowing down the suspects will be a task unto itself. Everyone loved them; motives for murder are nonexistent and cobbling together a list of suspects will also be a task unto itself. Whether they’re telling the truth remains among the mysteries to solve. On the other end of the spectrum, when everyone loves the victim, the detective might uncover sordid secrets hidden beneath that devoted façade—secrets harbored by the victim or the loved ones who profess to miss them. A motive, or a dozen motives, can emerge in this systematic search. The killer’s checkered past or twisted psychopathy comes to light, and the loved ones mourn all the more. This second extreme, the emotionally difficult extreme, forces the reader to look inward, to cherish life and relationships. We can cast aside the expendable jackwagon with the end of the book; the beloved victim stays with us beyond that. And sometimes, the situation surrounding the victim’s death—regardless of whether they were loved or hated—makes a lasting impression upon our minds. Thus we come to the Patron Saint of Murder Mysteries: Dame Agatha Christie. Her corpus of work covers a full range on this victim spectrum. Among her dead are vicars, blackmailers, spinsters, secretaries, butlers, socialites, criminals, and children. She pulls no punches when it comes to killing off characters, a trait that is both admirable and terrifying. Reverend Babbington, Three Act Tragedy (aka A Murder in Three Acts): A small-town curate with no known enemies, killed by nicotine poison in his drink at a cocktail party. Linnet Ridgeway Doyle, Death on the Nile: A rich, lovely newlywed, shot in her bed on a Nile River cruise ship. Joyce Reynolds, Halowe’en Party: A thirteen-year-old girl, drowned in an apple-bobbing barrel at a Halloween Party. These three victims provide examples of three different criminal motives: one based on happenstance, one on long-term planning, and one on the impulse of the moment. All three deaths leave the reader with a sick knot in their stomach, especially when the killer emerges from the list of suspects. Christie’s brutal efficiency when it comes to murdering her own characters plays only part of her genius. She’s brutal with her killers as well. But that’s a topic for another day, of course. I’ll admit it. I cringe every time a fictional sleuth goes snooping where they’re not supposed to. I know, I know. It’s their job. They all can pick a lock or glean an area for foreign hairs and fibers, and they all have their independent labs to send evidence to for testing. Sometimes, the sleuth has a warm and fuzzy relationship with the cops, so their intrusive sleuthing gets a wink-wink-nudge-nudge of an overlook. Hercule Poirot is my poster child for this, but as he’s also a former police detective himself (as Scotland Yard is well aware), he tends to keep his inspections within certain boundaries. He’s respectful of the police, and they return that respect in kind. In this scenario, we have brusque or bumbling LEOs who refuse to see the evidence right in front of them. They arrest the most likely suspect (who is rarely guilty) and sew up the case in a matter of minutes, never looking beyond the details that point to their chosen culprit. Enter the eccentric sleuth, who recognizes something amiss in the patterns of the crime. The daft police refuse to listen, so the sleuth must go behind their backs to collect evidence and exonerate the innocent suspect. In this scenario, there’s cause to suspect the police or members of the ruling elite as complicit in the crime. Politicians or puppet-masters higher up the chain might be pulling strings. Again, the police arrest the most likely suspect (who has been nicely framed) and sew up the case quickly, brushing all contrary evidence under the rug. Again, enter the eccentric sleuth. Something amiss in the pattern, going behind backs to collect information, yadda yadda yadda. In this scenario, the sleuth is an amateur or a member of a protected class (a child, for example, Miss Flavia de Luce). The police cannot, in all professionalism, condone such an individual interfering with their investigation. They might even take this sleuth’s concerns seriously, but they will dismiss him or her from active participation. Which, once again, leaves the eccentric sleuth skulking around in back alleys and generally getting into a lot of trouble. And honestly, that trouble is what attracts the audience in the first place. I mean, yeah, I cringe and squirm through the lawbreaking shenanigans, but I keep returning to the genre, too. Apparently there’s an unspoken rule that fictional detectives have to be off the beaten path, so to speak. I suppose we can blame that one on Sir Arthur Conan Doyle and his hyper-intelligent sociopath of a creation. A hundred-twenty or so years after Sherlock’s inception, the Quirky Detective has become a staple of both literature and film. Sherlock Holmes (of course): anti-social and hoarding tendencies, with a smattering of recreational drug use when he’s bored. Hercule Poirot: Belgian, with an enormous ego and exceptional vanity; fastidious and persnickety in his affectations. Nero Wolfe: unapologetically obese, zealous about food and orchids; practically a shut-in and devoted to his daily rituals. Almost everything about these characters screams “Eccentric!” even down to their very names. (What, you know a lot of people named Sherlock, Hercule, and Nero out there? Sure you do.) All three detectives are extremely intelligent. They also exhibit a marked indifference—even aversion—towards women, insofar as love is concerned. We wouldn’t want any icky romance getting in the way of our sleuthing, now, would we? As my stick-figure caricature indicates, Poirot is my favorite of this lot. For some reason, I like him even better knowing that his own creator did not. I especially like that Dame Agatha parodied herself in her fictional Ariadne Oliver and her doubly fictional Sven Hjerson. Ariadne, one presumes, provides a lovely window into Agatha’s life dealing with such a fussy main character. In homage to this trope, detectives across all media platforms display a full spectrum of eccentricities. Adrian Monk: OCD to an extreme and (rightfully) pining after his dead wife. Shawn Spencer: fake psychic; also a man-child with a fear of commitment. Flavia de Luce: 11 years old, morbidly fixated on chemistry and death. We love them not in spite of their eccentricities, but because of them. To separate the Quirky Detectives from their traits would be to bleach their very characters of color. But sometimes… Sometimes those eccentricities push their welcome a little too far. Sometimes it’s nice to take a step back, breathe deep, and look to some other genre for entertainment. There’s a threshold of tolerance in the consumer. It’s like eating deviled eggs. One is delicious. Two is quite nice. A dozen is cause to upchuck into a trashcan, because your system literally cannot handle that many eggs in one sitting. Or maybe that’s just me. I loves me some eccentric sleuths, but you won’t find me binge-reading any such series. (Or binge-watching, as the case may be.) In small doses they are delightful. In large, they’re a headache.